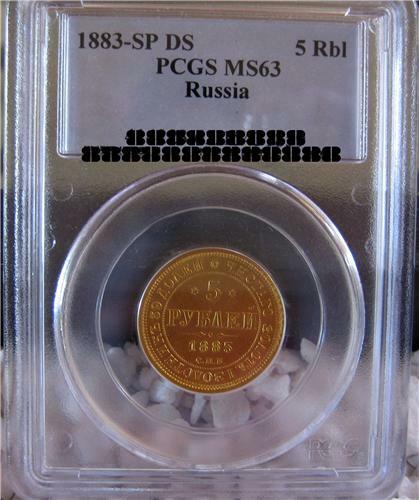 This coin is an 1883-SP DS Russia 5 Roubles Gold coin graded PCGS MS63. This coin is graded at the highest grade known according to the PCGS census. Please contact us to discuss the purchase of this coin or to make an offer on this coin. The coin in the photos is the coin you will receive. Please judge grade yourself using the photo provided and email if you have any questions.